A gentle introduction to networking and the Internet, The Internet Book does not assume the reader has a technical background. It explains the Internet, how it works, and services available in general terms, without focusing on a particular computer or a particular brand of software. 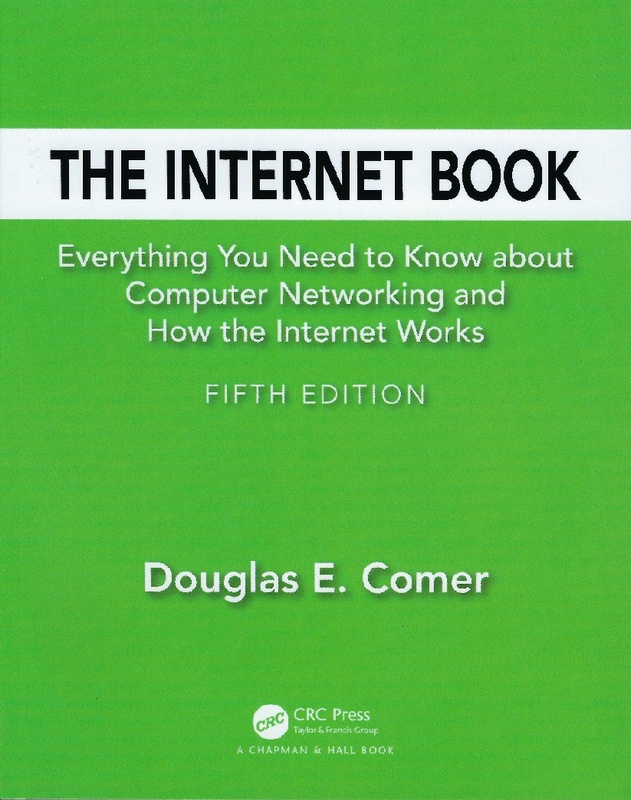 Ideal for someone who wants to become Internet and computer networking literate, The Internet Book explains the terminology as well as the concepts. The classic reference in the field for anyone who wants to understand Internet technology, Volume I surveys TCP/IP and describes each component. The highly accessible text presents the scientific principles used in the construction of TCP/IP, and shows how the components were designed to work together. It covers details of each protocol, including IPv4 and IPv6, TCP, UDP, DHCP, RIP, OSPF, BGP, ARP, IPv6-ND, and others. It also covers technologies such as Software Defined Networking and Classification, Multi-Protocol Label Switching (MPLS), Virtual Private Networks (VPNs) and Network Address Translation (NAT). 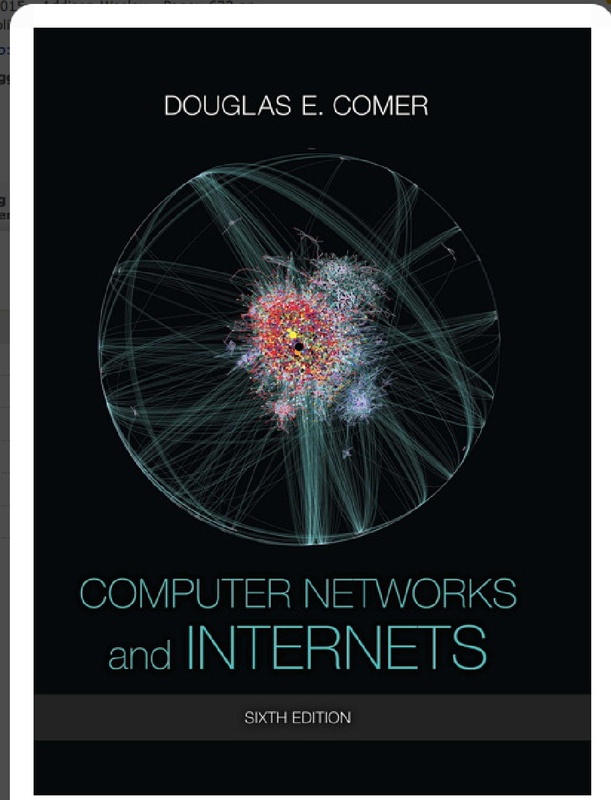 Computer Networks And Internets Sixth Edition, 2015. ISBN 0133587932/9780133587937. A broad introduction to networking and internetworking. 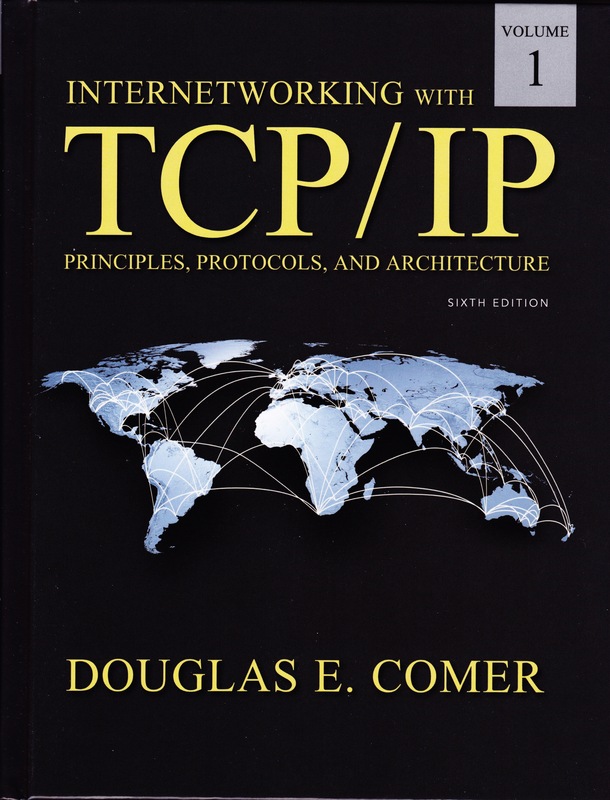 After an introduction that explores Internet growth and trends, the text is divided into five parts that explore: Internet applications and programming, data communications, packet switching with wired and wireless network technologies that includes both local-area and wide-area networks, Internetworking and the TCP/IP protocols used in the Internet. The final section explores aspects of networking that cross multiple layers and technologies, including security and network management. The text covers a wide range of topics, including bridging, switching, routing and routing protocols, multimedia protocols and IP telephony, and Web browsing. The Sixth Edition responds to suggestions from professors and students as well as changes in technologies. The edition includes two new chapters and updates all other chapters. A chapter on Software Defined Networking explains the general concept and introduces OpenFlow. A chapter on the Internet of Things explains wireless mesh networking and the ZigBee IP protocols used for sensors in smart grid applications. Ideal for implementers, Volume II continues the discussion of Volume I by using code from a running implementation of TCP/IP to illustrate all the details. The text shows, for example, how TCP's slow start algorithm interacts with the Partridge-Karn exponential retransmission backoff, and how routing updates interact with datagram forwarding. Volume III describes the fundamental concept of client-server computing used to build all distributed computing systems. The text discusses various server designs as well as the tools and techniques used to build clients and servers, including Remote Procedure Call (RPC). It contains examples of running programs that illustrate each of the designs and tools. Four versions of Volume III are available. This version describes the Socket Application Program Interface (API) available under the Linux Operating System, which follows the POSIX standard. All the example code in the text has been compiled and tested under Linux. Volume III describes the fundamental concept of client-server computing used to build all distributed computing systems. The text discusses various server designs as well as the tools and techniques used to build clients and servers, including Remote Procedure Call (RPC). It contains examples of running programs that illustrate each of the designs and tools. Four versions of Volume III are available. This version describes the Socket Application Program Interface (API) derived from Berkeley UNIX, from which the WINSOCK standard has been derived. Volume III describes the fundamental concept of client-server computing used to build all distributed computing systems. The text discusses various server designs as well as the tools and techniques used to build clients and servers, including Remote Procedure Call (RPC). It contains examples of running programs that illustrate each of the designs and tools. Four versions of Volume III are available. This version describes the Transport Layer Interface (API) that AT&T introduced in System V UNIX. Volume III describes the fundamental concept of client-server computing used to build all distributed computing systems. The text discusses various server designs as well as the tools and techniques used to build clients and servers, including Remote Procedure Call (RPC). It contains examples of running programs that illustrate each of the designs and tools. Four versions of Volume III are available. This version describes the Win32 programming interface and the Windows Sockets API used with the Microsoft Windows operating systems. This is the International edition of the Windows Sockets version of Volume III. Although it is written in English, it is available only outside of the United States. 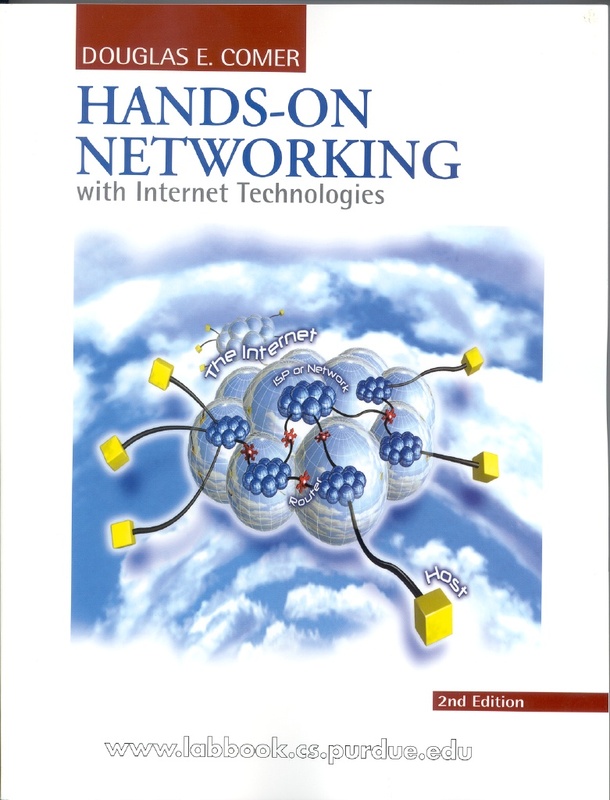 Hands-on Networking with Internet Applications, (Web site by David Laverell), Second Edition, 2004. ISBN 0-13-144310-0. A description of several networking testbed facilities and a list of projects that can be conducted using each of the facilities. Designed as companion to a book such as Computer Networks And Internets, this text guides the reader through a series of experimental projects that show how networking concepts translate into practice. 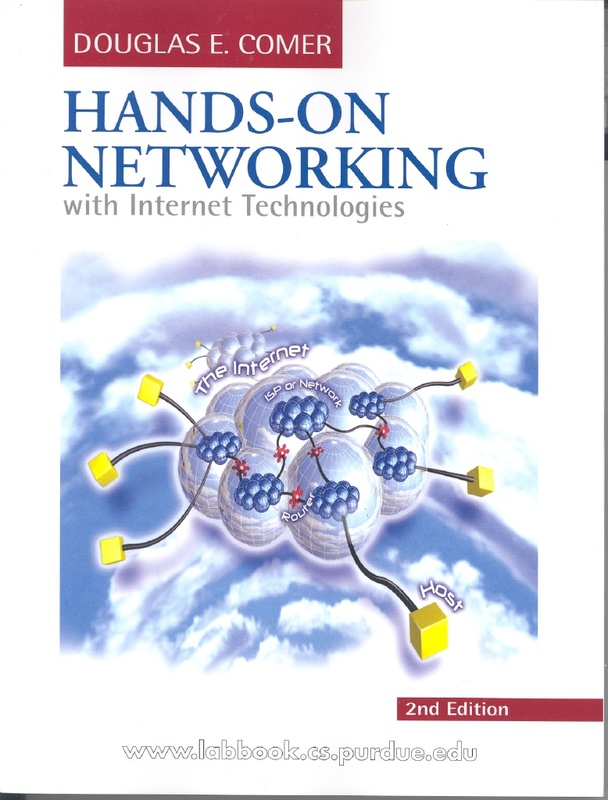 This book is ideal as a laboratory guide for a course in networking. 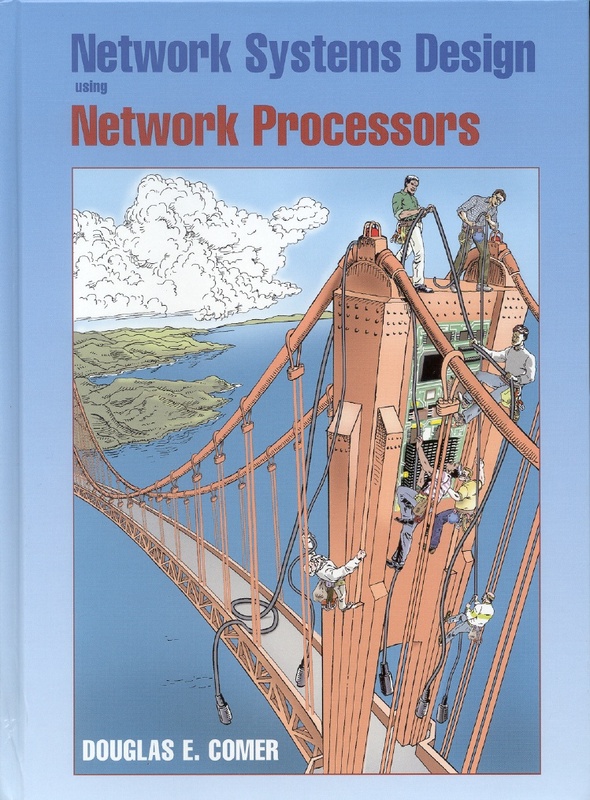 It covers a broad range of experiments, and shows how any hardware (including a single computer) can be used to learn about networking. The writeup serves as a record of progress because a student can check off each step as completed. 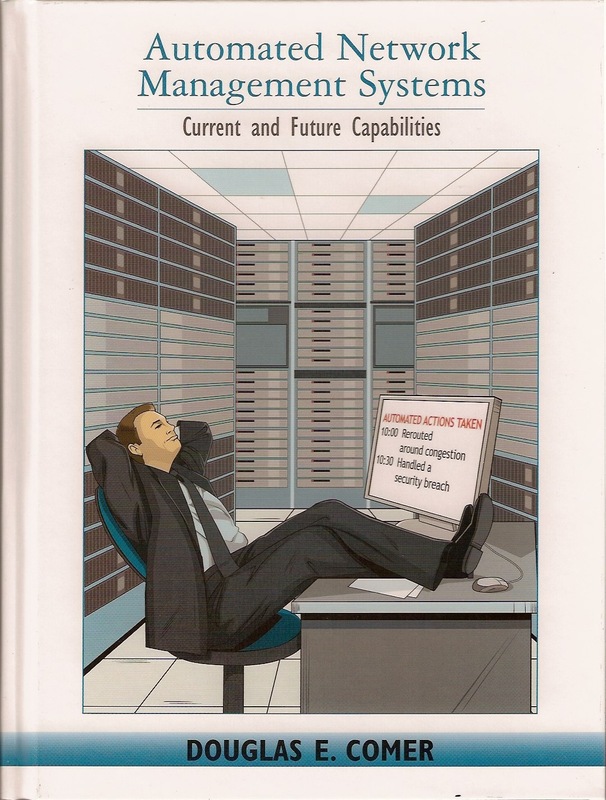 A package is available with Computer Networks and Internets, ISBN 0-13-108267-1. An introduction to network management, covering the FCAPS model: Fault detection and correction, Configuration and operation, Accounting and billing, Performance assessment and optimization, and security. The text describes tools such as SNMP and NetFlow, routing, and management scripting. The third part of the text considers the question of automation, discusses possible software architectures, semantics, design tradeoffs, and open research problems. An introduction to network processors and their use in network systems such as switches, bridges, routers, and load balancers. In addition to discussing the motivation, architecture, and use of network processors, the text considers protocol processing tasks, and explains how such tasks can be implemented in software or hardware. It covers key concepts such as classification, switching fabrics, processor and memory hierarchies, and programming languages used with network processors. 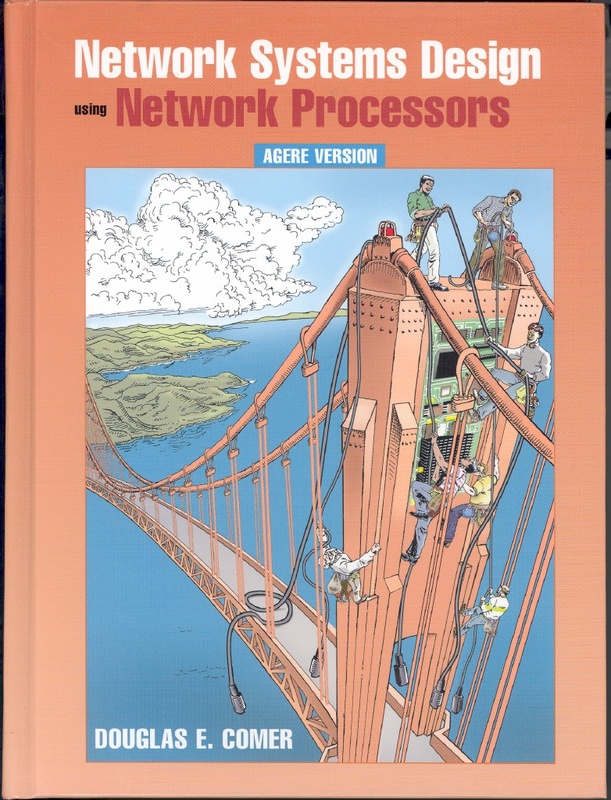 In addition, the text discusses the use of parallelism and pipelining, issues of scale, and the design tradeoffs that underlie network processors. The final section of the text presents details of one network processor (the Intel IXP2400), and shows example code for both the embedded processor and packet processors that are part of the Intel chip. An introduction to network processors and their use in network systems such as switches, bridges, routers, and load balancers. In addition to discussing the motivation, architecture, and use of network processors, the text considers protocol processing tasks, and explains how such tasks can be implemented in software or hardware. It covers key concepts such as classification, switching fabrics, processor and memory hierarchies, and programming languages used with network processors. In addition, the text discusses the use of parallelism and pipelining, issues of scale, and the design tradeoffs that underlie network processors. The final section of the text presents details of one network processor (the Agere APP550) and shows example code for both the classification engine as well as the traffic manager that are part of the Agere chip. An introduction to network processors and their use in network systems such as switches, bridges, routers, and load balancers. In addition to discussing the motivation, architecture, and use of network processors, the text considers protocol processing tasks, and explains how such tasks can be implemented in software or hardware. It covers key concepts such as classification, switching fabrics, processor and memory hierarchies, and programming languages used with network processors. In addition, the text discusses the use of parallelism and pipelining, issues of scale, and the design tradeoffs that underlie network processors. 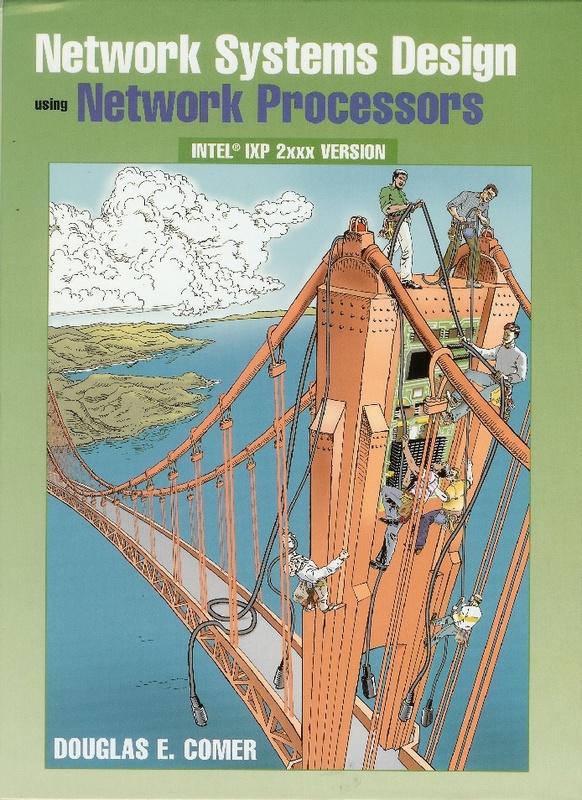 The final section of the text presents details of one network processor (the Intel IXP1200), and shows example code for both the embedded processor and packet processors that are part of the Intel chip.